In a crowded space, you need to create an impact, set yourself apart from the rest and engage with your audience. We pride ourselves on delivering your marketing messages and presenting your brand effectively and creatively. 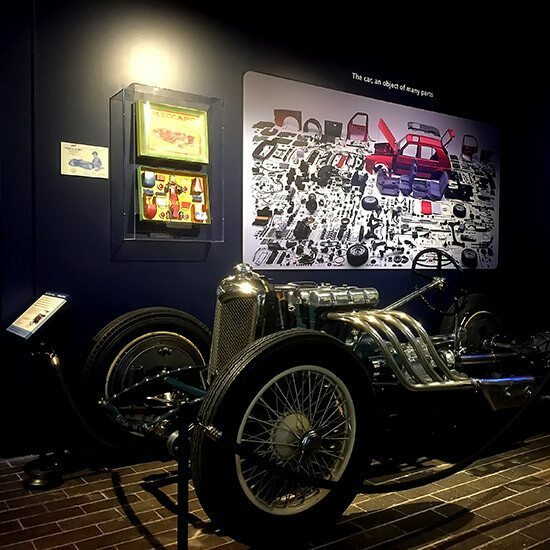 Whether it’s a large space with a high end bespoke design, or a small off the shelf solution, we specialise in getting you noticed and getting traffic. An effective and simple portable solution. Kind to the marketing budget and available in a range of sizes. 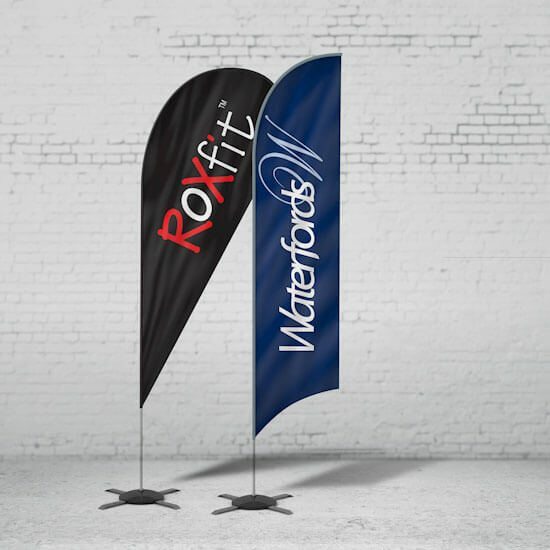 Our most popular banner, with a highly durable finish. Complete with carry bag, the banner retracts neatly into its base. With a little more prestige suiting a high profile location, with a sculpted base and superior finish, it stands out and reflects quality. 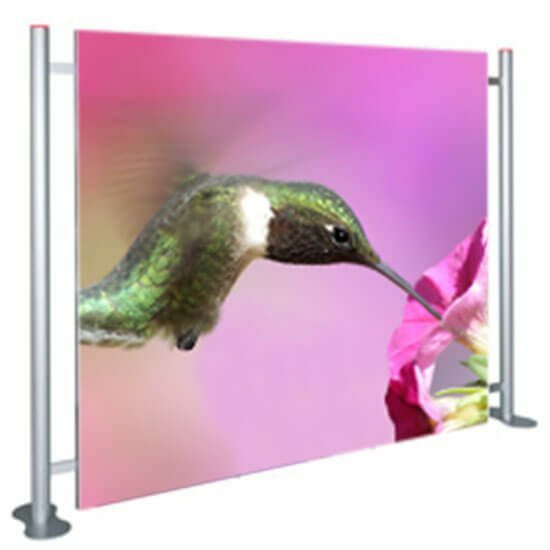 Provides high impact or an attractive backdrop. 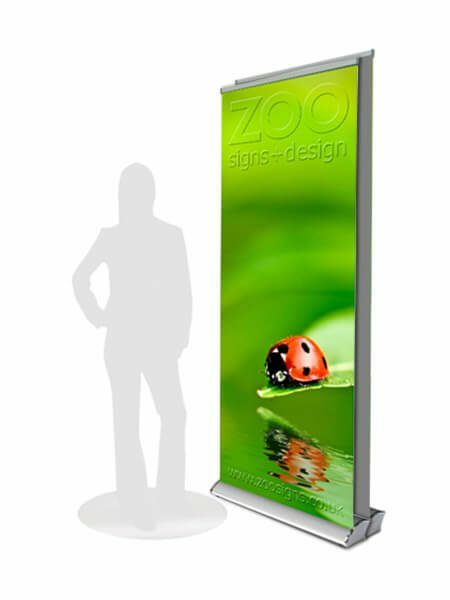 Available up to 1500mm wide with a sturdy base to aid stability. 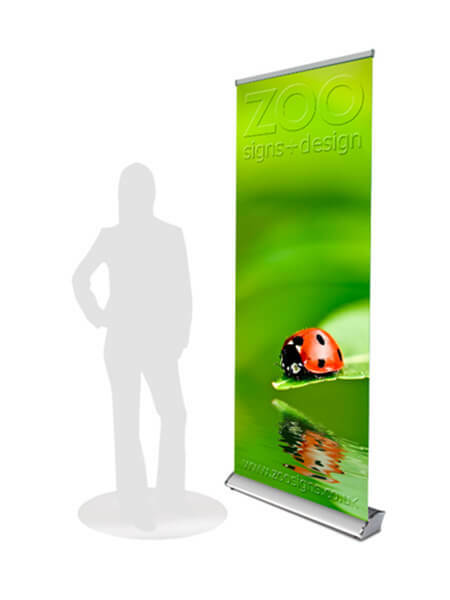 Hit your audience from all angles with a double-sided banner. 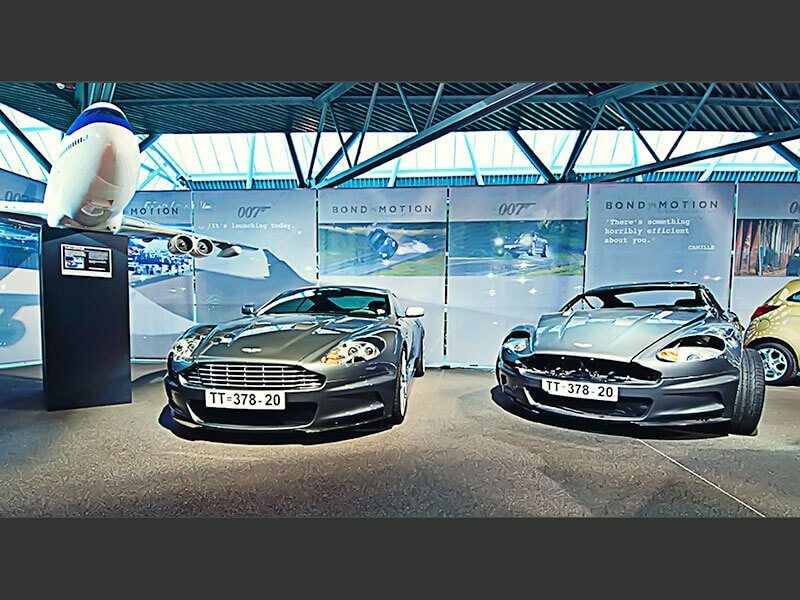 Double your presence without doubling the budget. 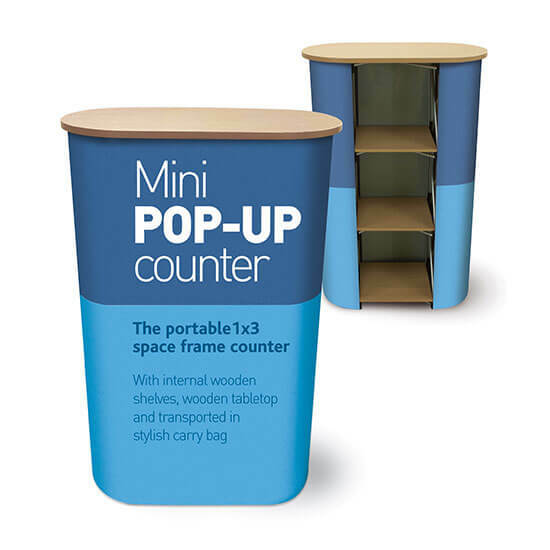 Achieve instant impact, and a window into your brand, with this freestanding solution. Incredibly quick and easy to assemble, and stored neatly in it’s own case. Lighting, high quality graphics and a roller case conversion kit are all included. 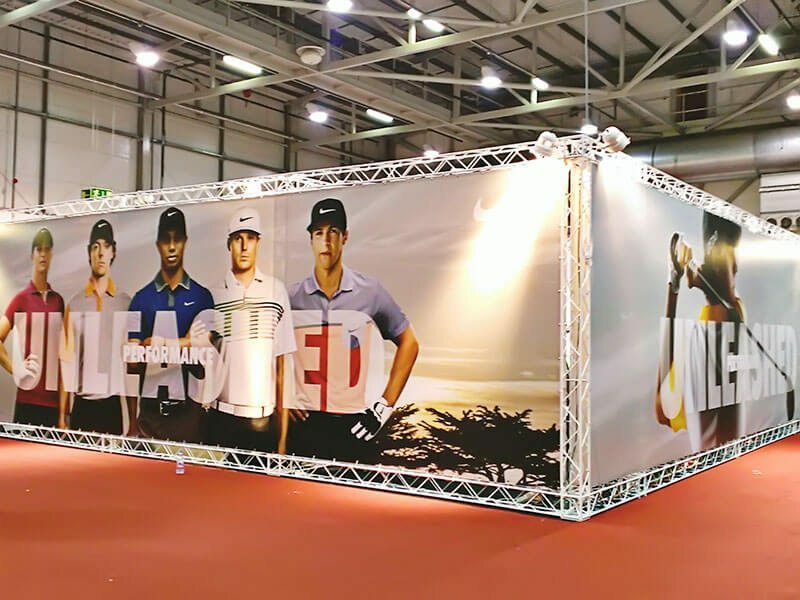 Create a striking visual display with lightweight boards. 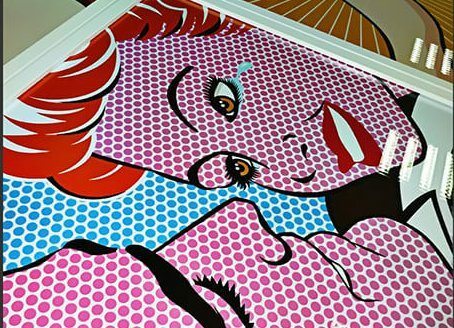 We print all our graphics in-house, so we can ensure a vibrant and quality result each time and every time. Small can be beautiful. 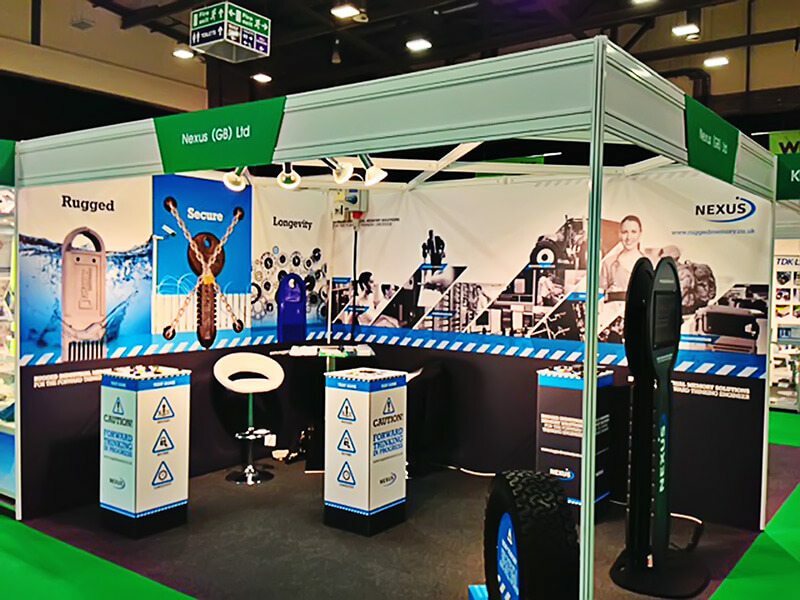 We know how to get the best out of space, whether it's through quality graphics or dressing the space to display products effectively. 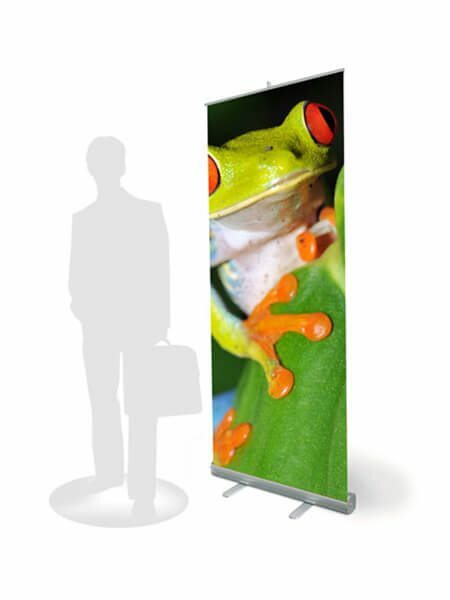 Indoors or Outdoors, raise your profile and visibility of your brand. 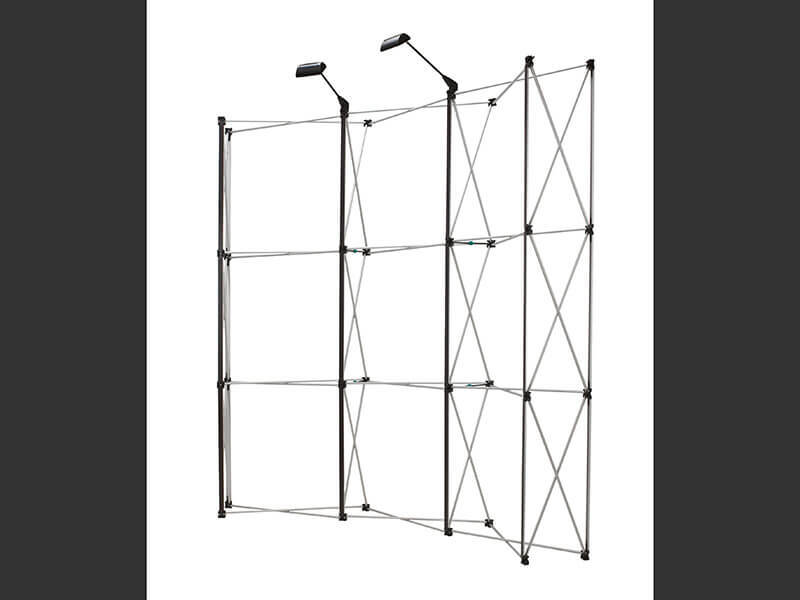 Available in 3 sizes along with poles and a range of bases. 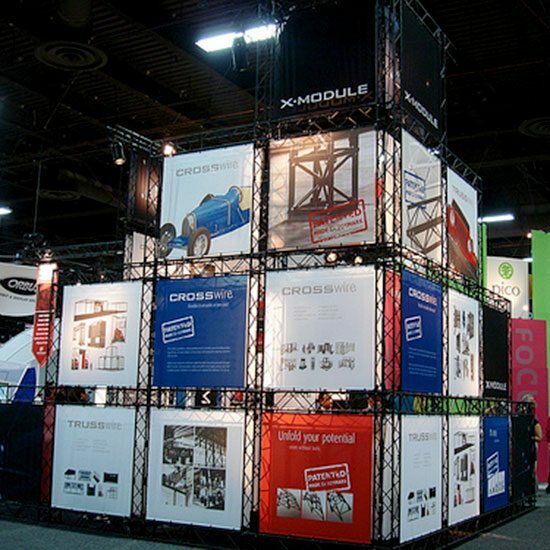 A completely modular system that allows you to create a structure or define your display space. 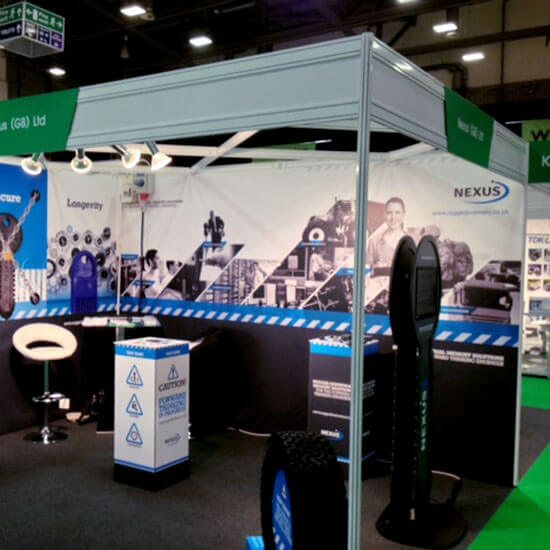 Compliment your stand with a range of accessories to effectively promote and display your products & services. 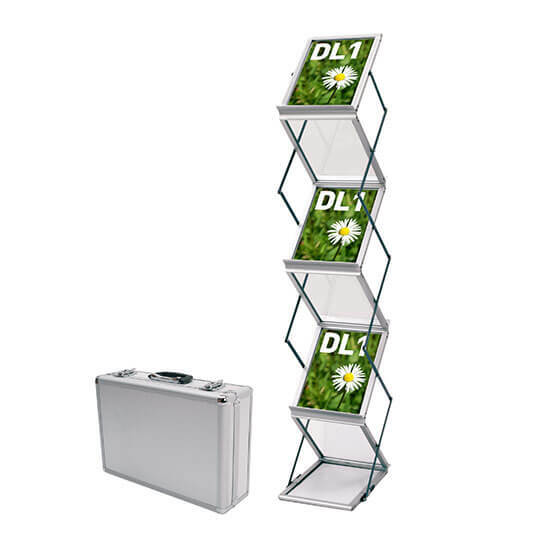 Display your marketing material in an attractive and organised way. Easy to assemble, sturdy and stored in a protective carry case. An essential item for shows and exhibitions. A useful addition, with a wide counter top for display, plus shelves for storing giveaways and literature, it comes stylishly wrapped with your branding and complete with carry bag. *Prices exclude VAT and assume print ready artwork – trade prices/volume discounts are available. An artwork service is available please call if required. 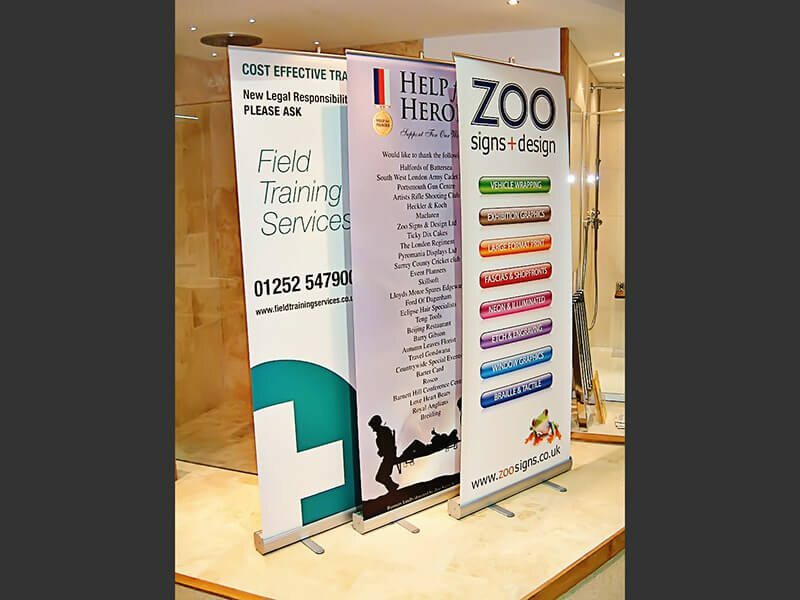 We have used Zoo Signs on multiple occasions, they have never failed to provide a friendly, professional and high quality service. I would highly recommend them. Museum Banners. 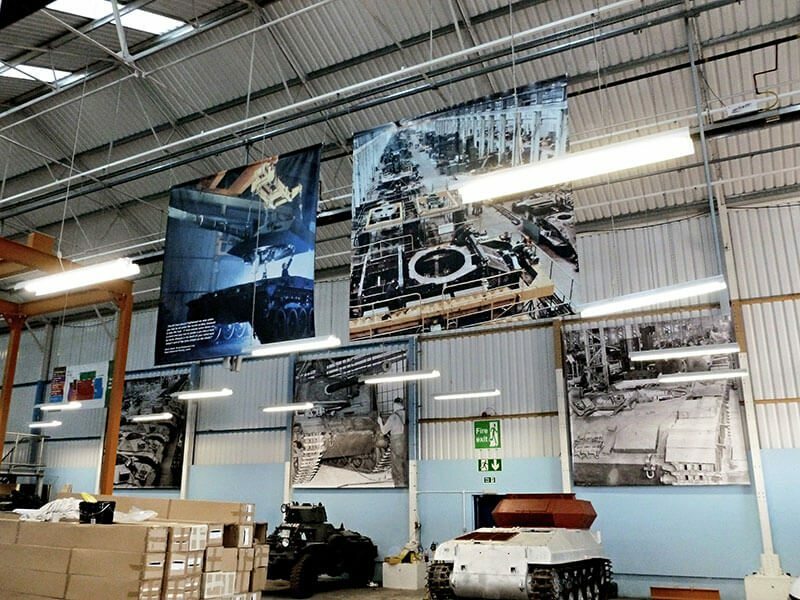 We produced and installed 4 metre square double sided suspended banners in Bovington Tank Museum. Timing was critical in this deadline driven project to ensure that all elements could be completed prior to the placement of the tanks. Museum Signs Banners, Hampshire. 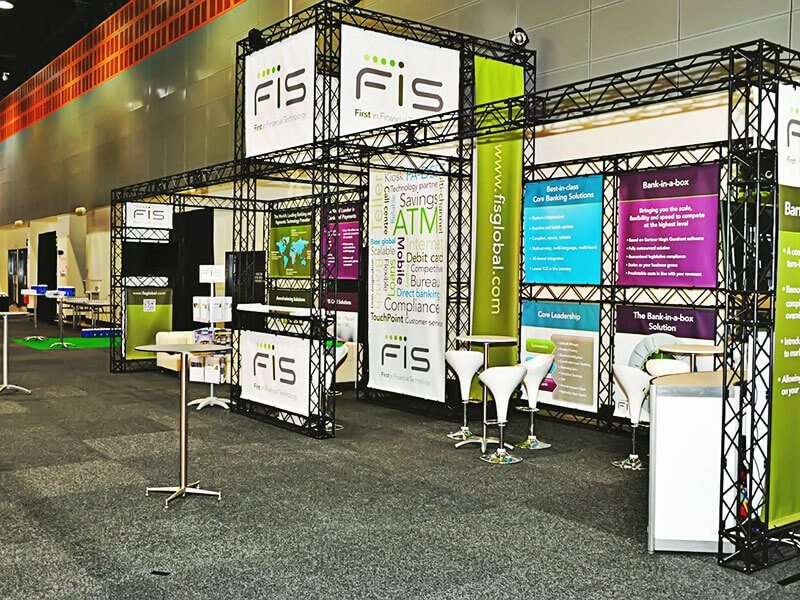 Using large format digitally printed mesh banners, we designed and manufactured an enclosed exhibition area. Exhibition Graphics Surrey. 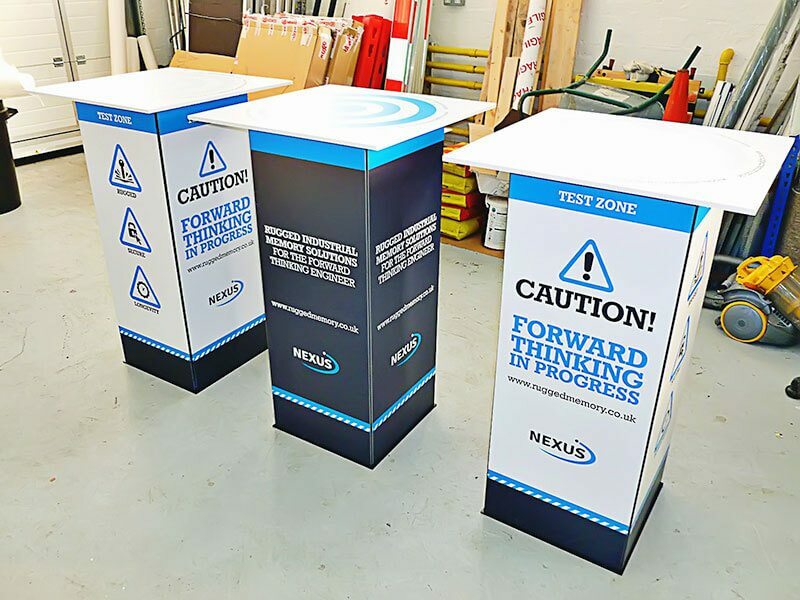 Custom plinths with full colour graphics. Exhibition Stand Camberley, Surrey. 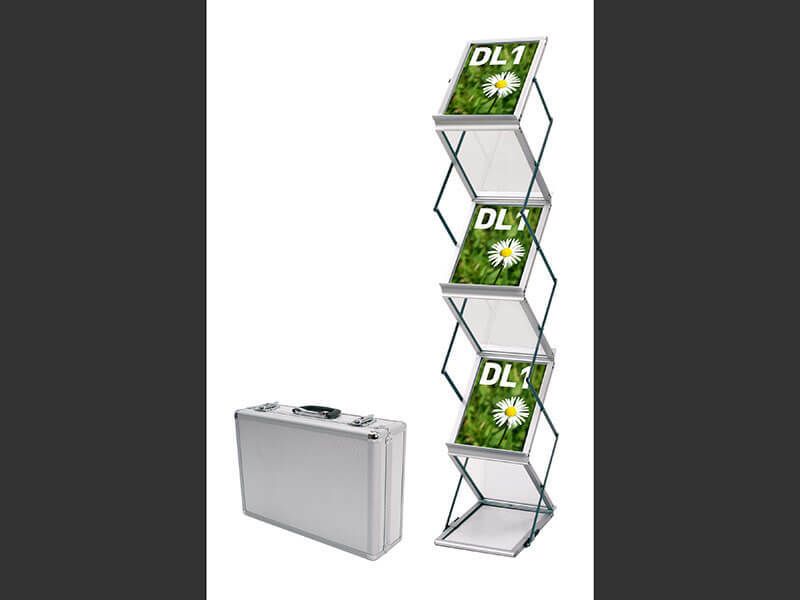 Lightweight exhibition stand, stylish alloy carry case with padded interior. Office Signs, Surrey, Berkshire, Hampshire. A large quantity of box framed prints which formed part of an impressive wall display. Exhibition Stand Camberley, Surrey. 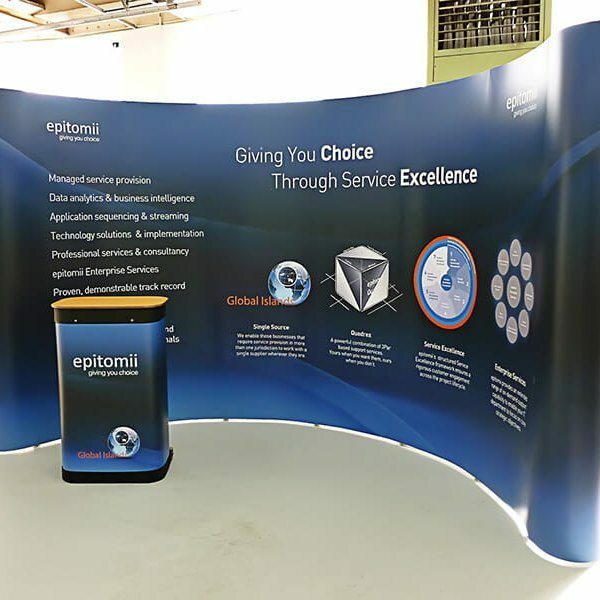 A large 'pop-up' display along with 'pull-up' banners, free-standing lectern and literature stand. Exhibition Signs Camberley Surrey. 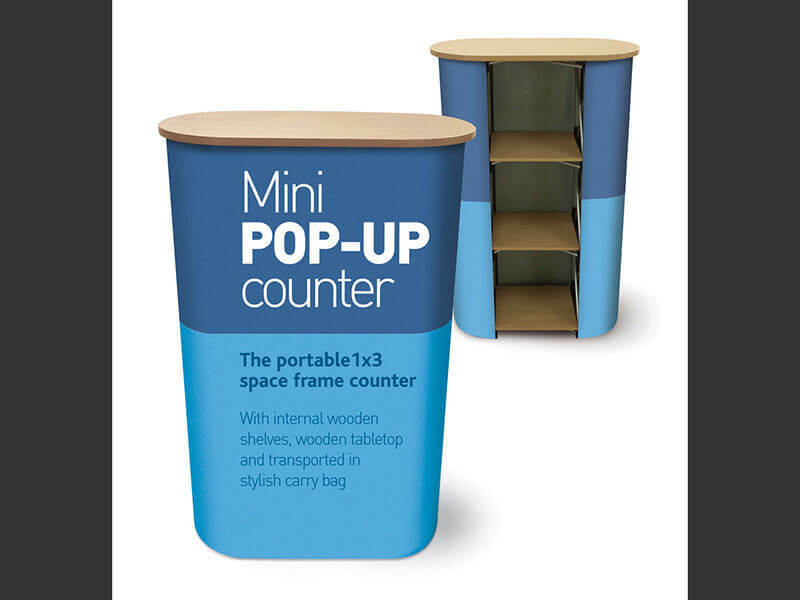 A useful addition to your exhibition space, this counter can be easily personalised. Exhibition Stands Camberley Surrey. 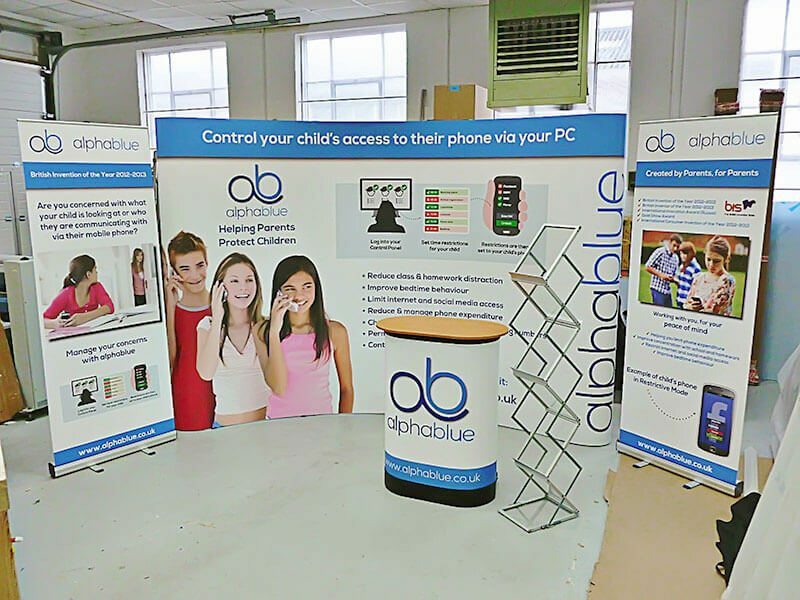 Pop-up stands are available in a range of sizes and configerations. Exhibition Signs Surrey. 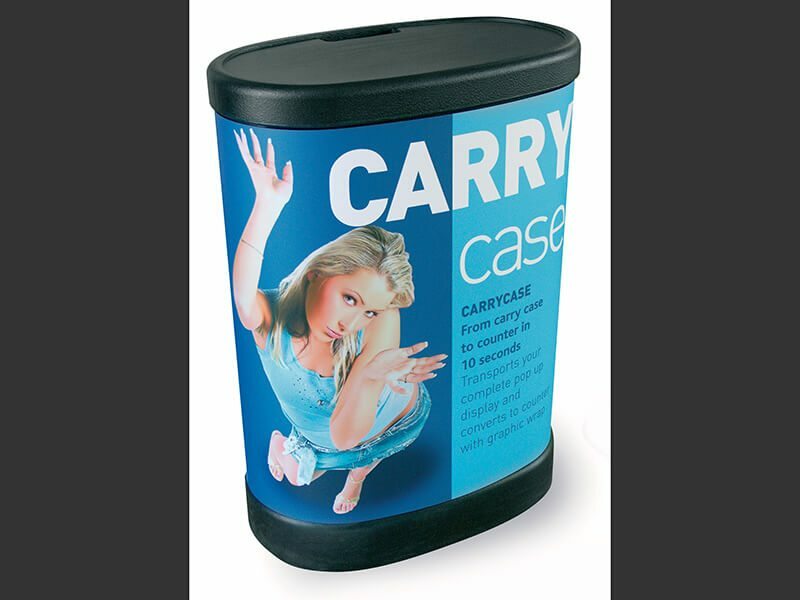 The durable pop-up carry case can be branded to double up as a handy work surface. Exhibition Signs Camberley Surrey. 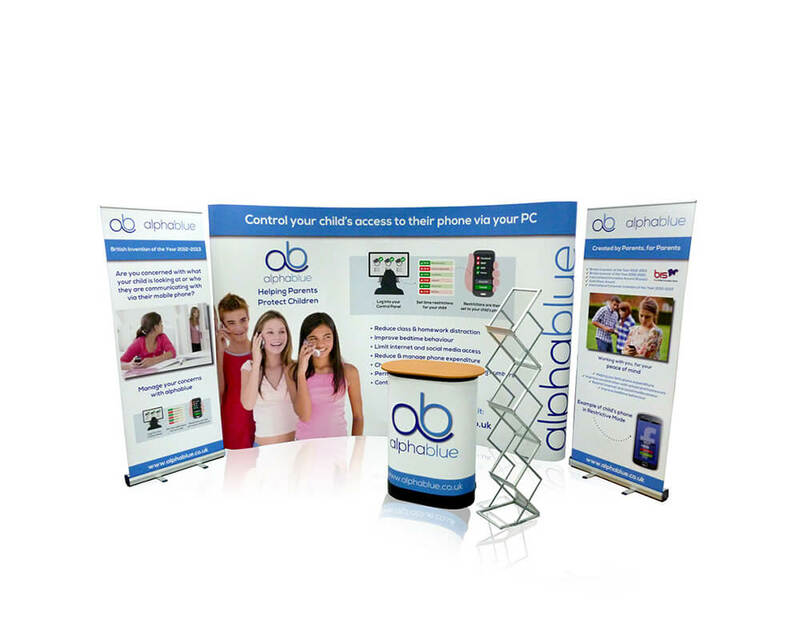 Pop-up displays are available in a range of sizes. Optional lighting kits are available for added impact. Museum Signs Hampshire. 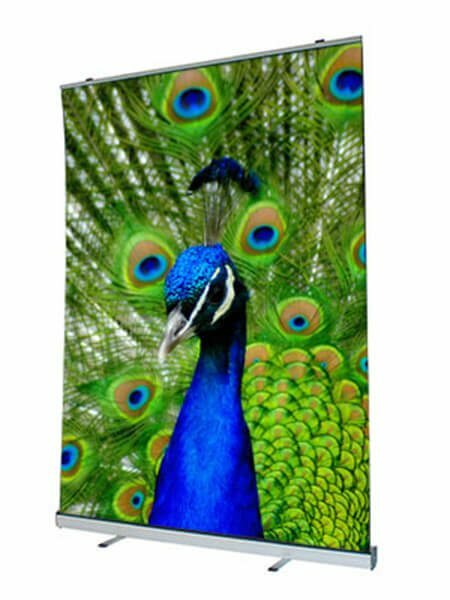 Tell a story with Full Colour Wall panels. A great way to view historical moments using pictures. Exhibition Signs Camberley. 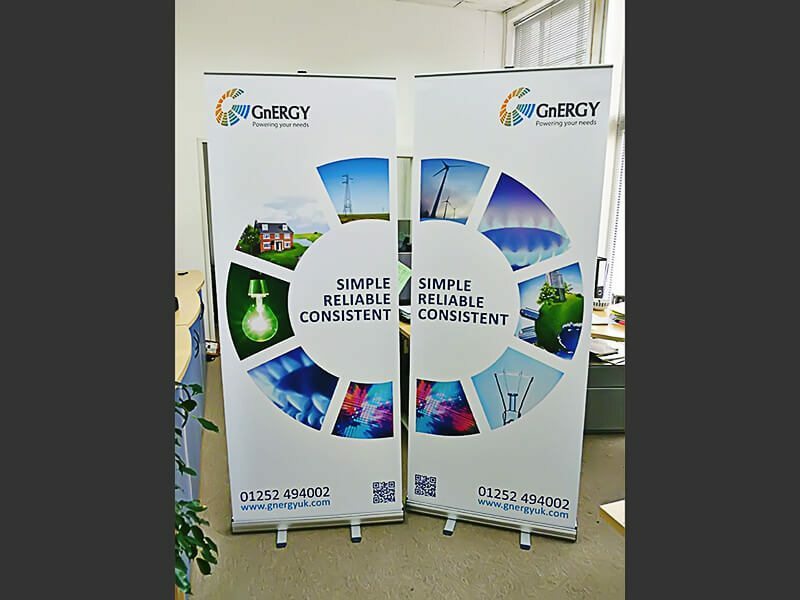 Pull-up banners are light weight and highly portable. Whether you require just one, or many, they are a cost effective solution. Exhibition Stands Camberley Surrey. 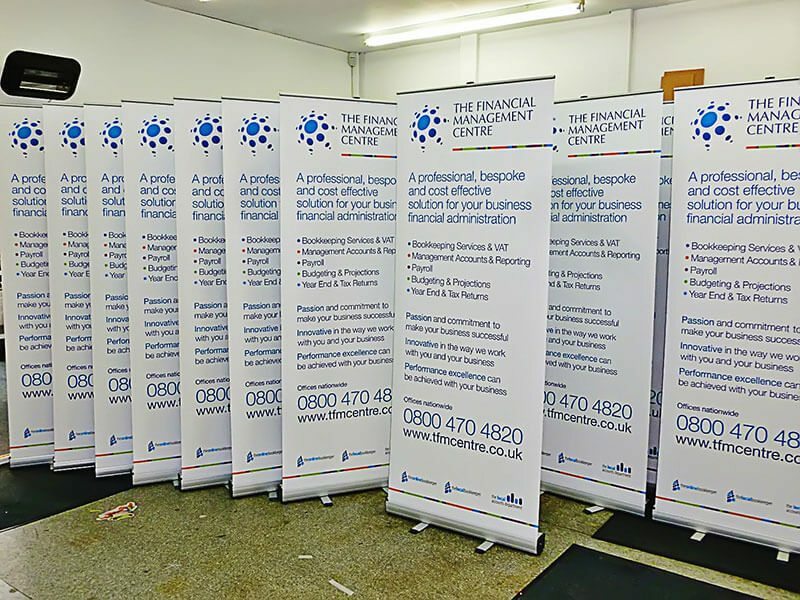 A few examples of the versatile pull-up banner. Exhibition Stands Camberley. 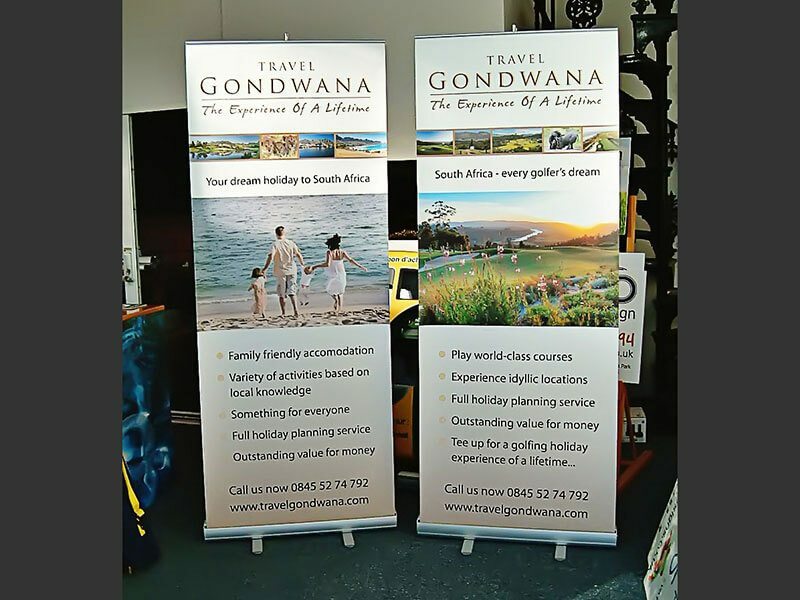 Standard Pull Ups, used at a wedding fair for company promotion, quality, scratch resistant material complete with padded case. Exhibition Signs Surrey. 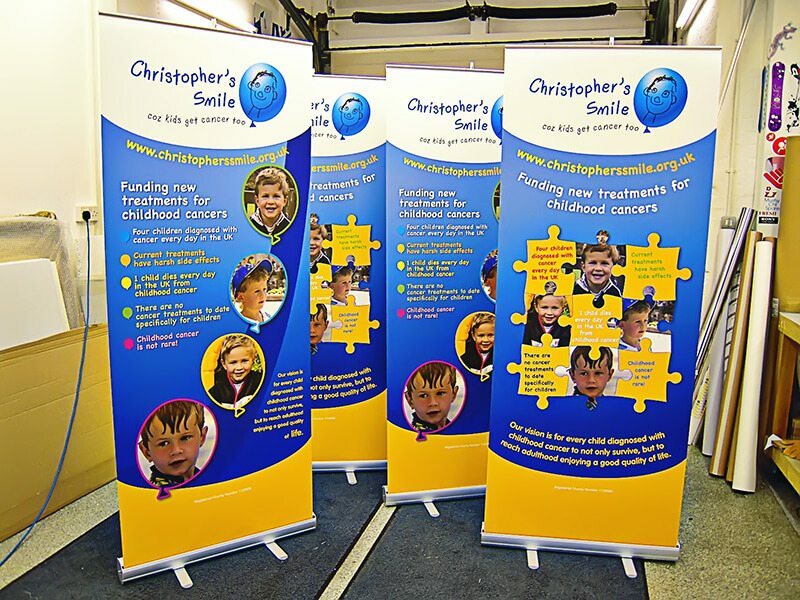 Pull-up banners offer excellent value for money. Big impact, and highly portable, they suit a wide variety of situations. Exhibition Stand Camberley Surrey. 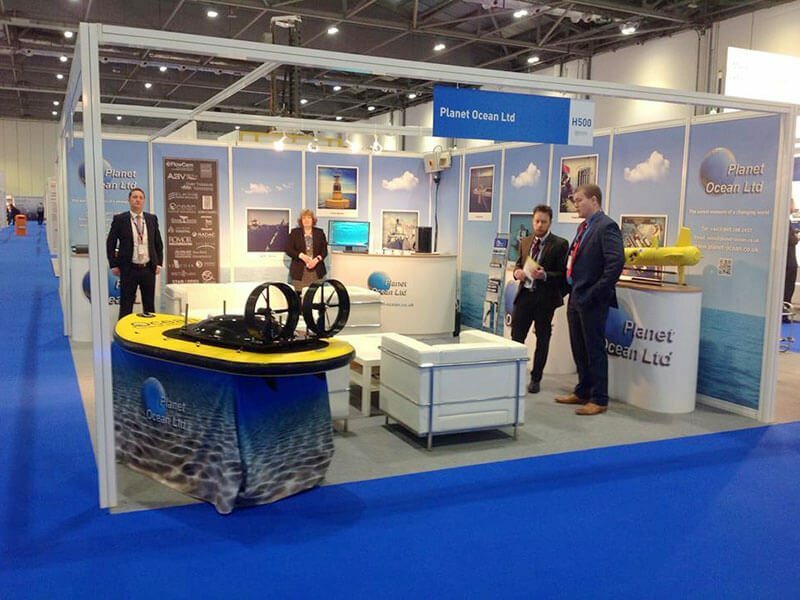 Tailored graphics and bespoke items for a 'seamless' display, completed working on behalf of Alive with Ideas.